Commemorating its 50th year in Los Angeles, the Dodgers team again played one more game in the Memorial Coliseum on March 29, 2008 - an exhibition game to benefit a cancer research charity. The crowd of 115,300, the largest in baseball history in any country, any league, saw the Dodgers lose to the Boston Red Sox by a score of 7–4. 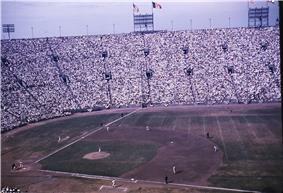 Due to intervening renovations, the Coliseum's left field corner was shortened to only 190 feet, calling for an even-taller left-field fence of 60 feet. Kevin Cash of the Red Sox and James Loney of the Dodgers did hit home runs over that fence, but there were unexpectedly few home runs in the game. The core of the team's success in the 1960s was the dominant pitching tandem of Sandy Koufax and Don Drysdale, who combined to win 4 of the 5 Cy Young Awards from 1962 to 1966, during a time in which only one award was given to the top pitcher from either of the two major leagues. 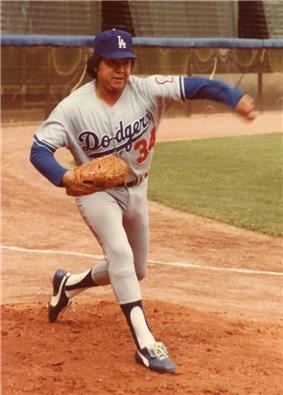 Top pitching also came from Claude Osteen, an aging Johnny Podres, and reliever Ron Perranoski. The hitting attack, on the other hand, was not impressive, and much of the offensive spark came from the exploits of speedy shortstop Maury Wills, who led the league in stolen bases every year from 1960 to 1965, and set a modern record with 104 thefts in 1962. The Dodgers' strategy was once described as follows: "Wills hits a single, steals second, and takes third on a grounder. A sacrifice fly brings him home. Koufax or Drysdale pitches a shutout, and the Dodgers win 1-0." 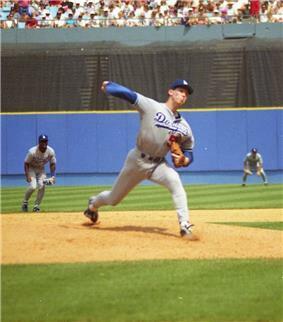 Although few games followed this model exactly, the Dodgers nevertheless tallied a high proportion of wins in a low-scoring manner that relied on their pitching and defense rather than their offense - with the exception of a few seasons. For example, in 1962, Tommy Davis led the Major Leagues with 153 RBI, and he led the National League in batting average and in hits. Seasons of over 150 RBI are quite rare by a player in modern-day pro baseball. Davis led the league in batting twice for the Dodgers. The 1962 pennant race ended in a tie, and the Dodgers were defeated by the archrival Giants in the tie-breaking playoff, but the Dodgers proceeded to win the pennant in three of the next four years. The 1963 World Series was a four-game sweep of the Yankees, in which the Dodgers were so dominant that the vaunted Bronx Bombers never even took a lead against Koufax, Podres, and Drysdale. After an injury-plagued 1964, the Dodgers bounced back to win the 1965 World Series in a seven games against the Minnesota Twins. 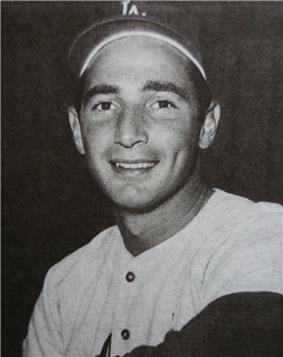 Game one happened to fall on the Yom Kippur holiday, and Koufax (who is Jewish) refused to pitch on that day, a decision for which he was widely praised. The Dodgers rebounded from losing the first two games, with Koufax pitching shutouts in Games five and seven (with only two days rest in between) to win the crown and the World Series MVP Award. 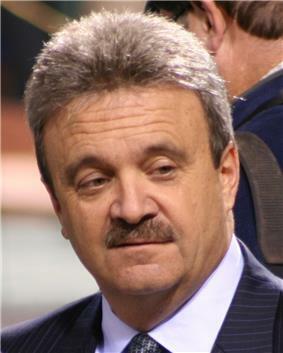 Following the disappointing end of the 2014 season, the Dodgers removed Ned Colletti from his job as GM and hired Andrew Friedman, formerly of the Tampa Bay Rays, to the newly created post of "President of Baseball Operations" with a mandate to rebuild the farm system so that the team could build from within instead of continuing to pursue costly free agents. The new front office made several trades that first off-season and drastically reshaped the roster. They traded away Matt Kemp, Dee Gordon, Dan Haren and others in moves that brought in Howie Kendrick, Jimmy Rollins, Yasmani Grandal and others. The team battled injuries in 2015 that removed two members of the projected starting rotation to early season ending injuries and Puig also spent much of the season injured. Rookies Joc Pederson and Corey Seager came up and showed potential and Kershaw and Greinke remained the best one-two punch starting pitchers in the league. The Dodgers won their third straight NL West title for the first time in franchise history but again flamed out in the first round of the playoffs, losing to the Mets. ^ "Giants 5 Dodgers 6 (Boxscore)". Baseball Reference. o. Retrieved 2009-11-10. ^ Kelly, Sr, Alfred F. (2007-05-29). "Goodbye Again, Dear Bums". Parade. Retrieved 2008-09-22. ^ Dodd, Mike (2008-01-17). "Ghosts of Flatbush Alive 50 Years After Dodgers' Exit". USA Today. Retrieved 2008-09-22. ^ Belth, Alex (2006-08-04). "The True Phenoms". Sports Illustrated. Retrieved 2008-09-22. ^ Gurnick, Dan (2007-11-01). "It's Official: Dodgers Hire Torre". Major League Baseball. Retrieved 2008-09-22. ^ a b Brown, Tim. 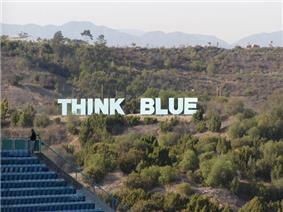 "Dodgers owner separating from wife/team CEO - MLB - Yahoo! Sports". Sports.yahoo.com. Retrieved 2011-02-26. ^ Ken Gurnick / MLB.com (2010-01-14). 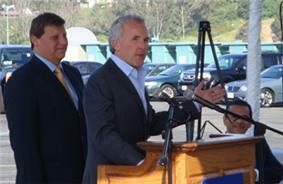 "McCourt: Divorce won't affect Dodgers | dodgers.com: News". 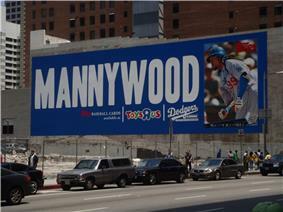 Losangeles.dodgers.mlb.com. Retrieved 2011-02-26. ^ Winton, Richard (April 2, 2011). "Men sought in beating of Giants fan after Dodgers' opener". Los Angeles Times. ^ Futterman, Matthew (March 28, 2012). "TV Riches Fuel $2 Billion Dodgers Deal". The Wall Street Journal. ^ "Magic Johnson group to buy Los Angeles Dodgers". CNN. March 29, 2012. ^ "La La Land Math: Are the Dodgers Really Worth $2.15 Billion?". Fox Business. March 28, 2012. ^ "Dodgers' sale to group fronted by Magic Johnson is OK'd by court". Los Angeles Times. April 13, 2012.